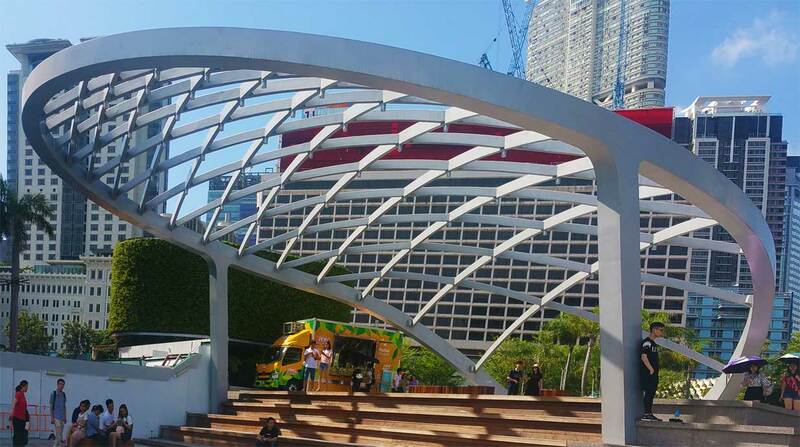 The Tsim Sha Tsui Waterfront Revitalisation Project in Hong Kong’s Salisbury Gardens has been recognised by the Hong Kong Institute of Urban Design with a Merit Award. The biennial Urban Design Awards are given to the very best built projects in the city and the best concept designs for the city’s future development. Salisbury Gardens includes an event platform and elliptical trellis structure that was engineered by Eckersley O’Callaghan. The trellis casts shade over a wooden deck, providing a stage for special events and a unique location for gathering on the waterfront.